Welcome! 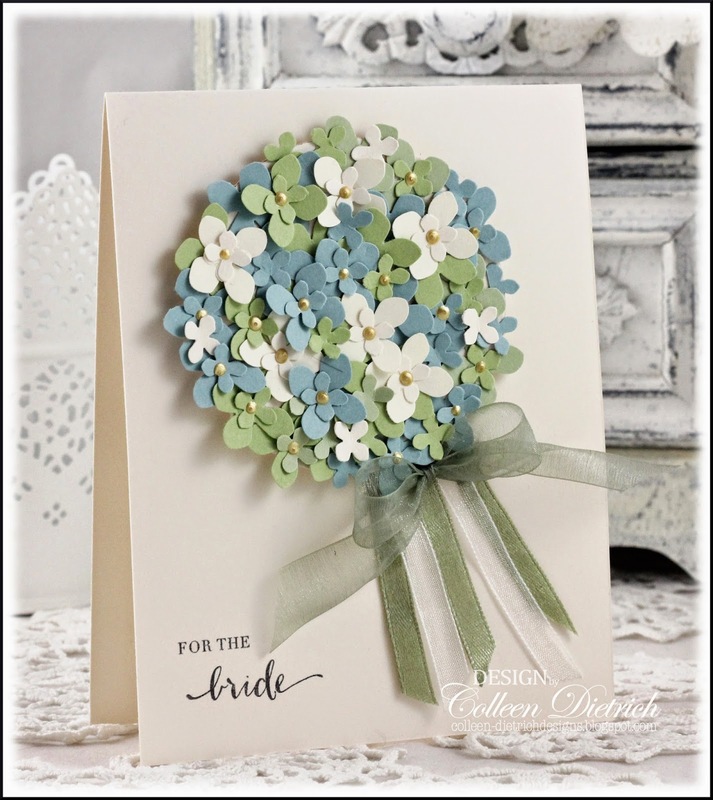 It's time for a new Card Concept challenge, and oh, boy, was I excited when I saw the inspiration photo (below my card), as it involves weddings and hydrangeas. Yippee! How 'bout this gorgeous photo below, huh? 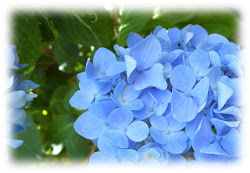 Those blue hydrangeas set my heart a-pounding! Obviously, I chose to center my card around those beautiful blossoms, and the colors in the picture. 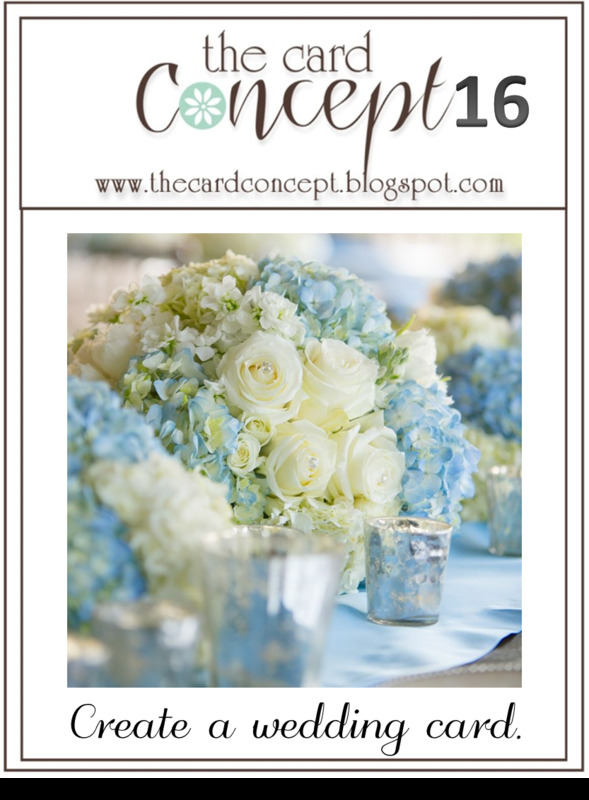 I used my Martha Stewart Hydrangea Punch a BUNCH of times in soft blue, pale green, and ivory. Here's a little tutorial on how I did it (and you can tell by these colors that there's another card to post soon!). I used Aleene's Quick Dry Tacky Glue for this. 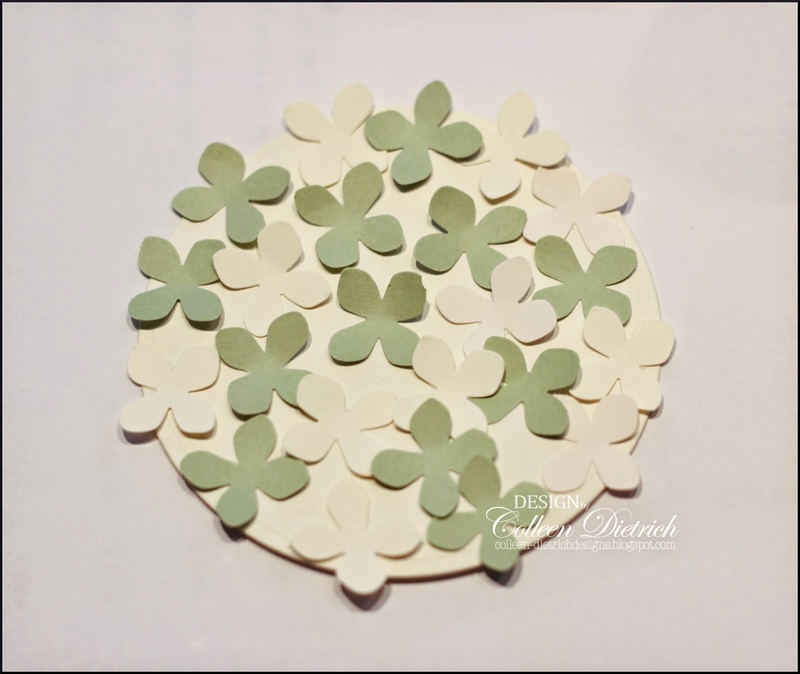 2) Start adding the tinier ones to help fill in gaps, and also to layer on top of some of the larger blossoms. 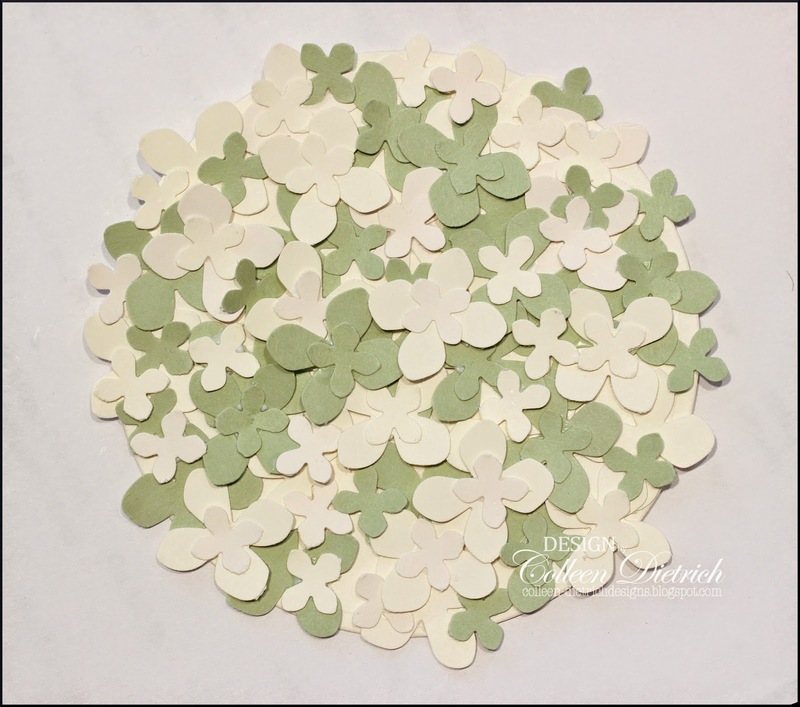 3) After you feel you've sufficiently covered gaps with the tiny flowers, add centers on some of the hydrangeas with yellow Liquid Pearls. You can see what fabulous dimension this technique gives to a "bridal bouquet". I added some ribbon streamers and a bow to finish it off, with a sentiment from Wplus9's Fresh Cut Wreaths. There are LOTS of new faces and new changes over at The Card Concept. We've got something now called a Wild Card Team! This team will be designing in each of the 6 styles over the course of their term with us. I'm so excited to see what everyone does! Thank you SO much for your visit today, and I hope you can join us at The Card Concept with YOUR wedding card! I can't wait to make a wedding card for the challenge"
Soft, dreamy, classy... and definitely elegant! Wow.... an amazing card! Beautiful! Wow wow wow wowwwwwww! This is gorgeous! Pinning!!!! This is so you, Colleen! What a beautiful hydrangea (both of them). My youngest daughter's bridal bouquet was very similar to the photo. Her hydrangea were deep purple and silk. She still displays it. So beautiful, Colleen. 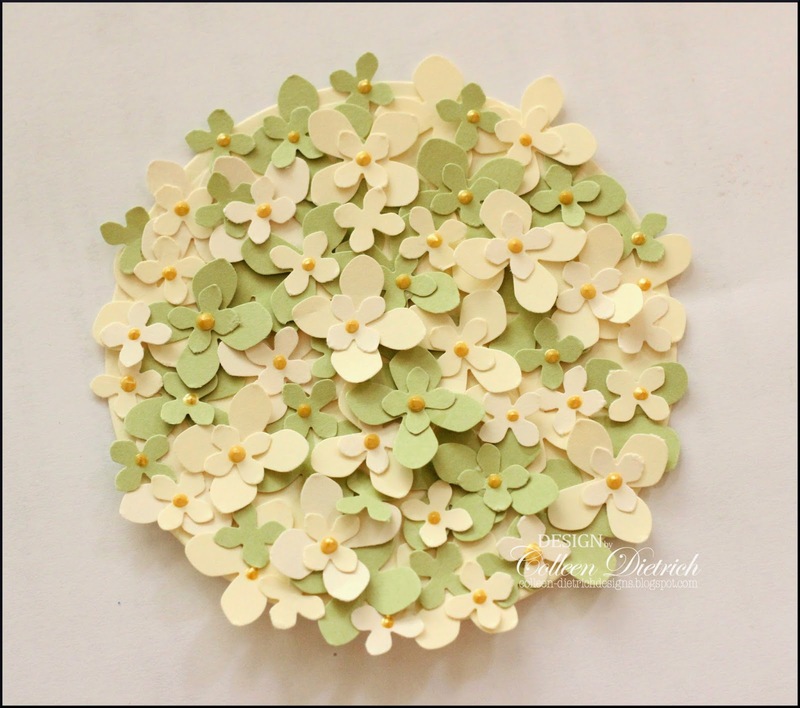 I made one of those hydrangeas once and it was time consuming, but worth it. I KNEW you would make a hydrangea! 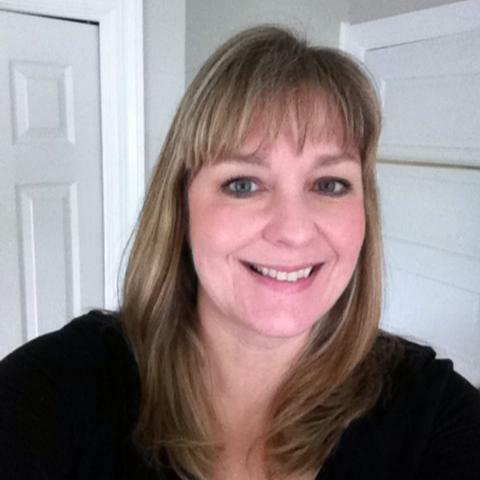 GORGEOUS and so YOU, Colleen! Sigh...this is absolutely dreamy Colleen. Oh my stars girl what a beautiful wedding card. Frame worthy for sure!! Beautiful!! So beautiful card! 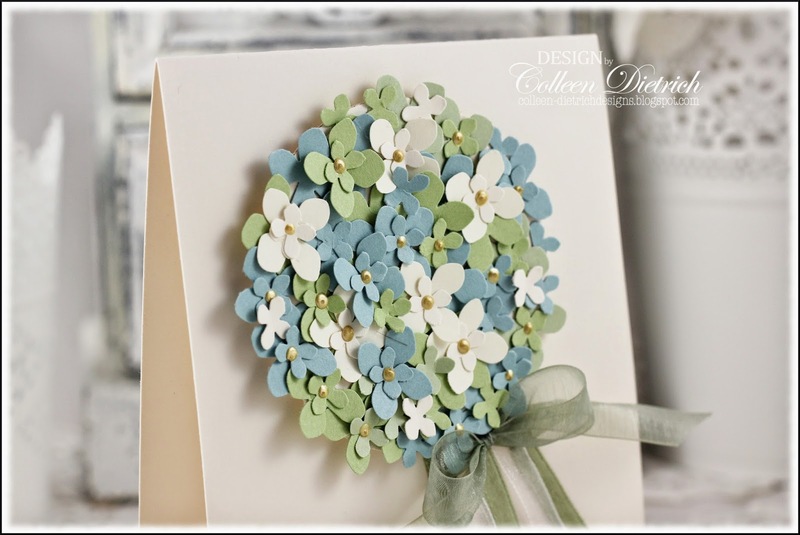 I love the way you made pretty hydrangeas on the card! Classy and elegant for certain! What a lovely card. Looking forward to the next one, now! 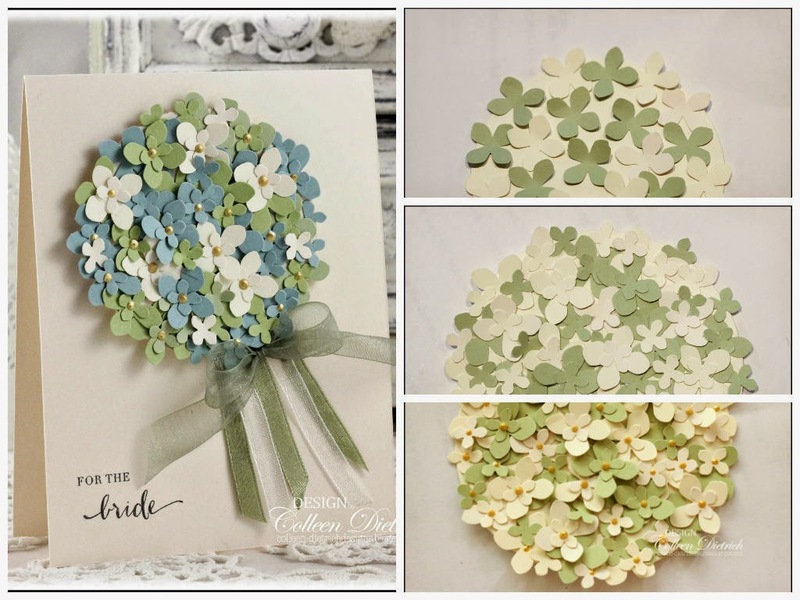 Perfect for a Hydrangea wedding card! Love this and it looks just like a bouquet. Lots of work but totally worth it. Hugz! Oh my gosh!!!!! You win ......this is simply stunning!!!! TFS the tutorial and the colors are this one are terrific too!